What programs should you join first? You can join FREE and there's no obligation to ever upgrade there unless you want access to some pretty amazing FREE resources if/when you do. It costs just $12.99p/m to be a GOLD member, you can try it FREE for 21 days and if you upgrade within your first month you also get a discount so it's worth thinking about. Make sure you add your IDs both at UDB and within 7Day. Now join ALL our 'Recommended Advertising Resources' and take up any of the 'Admin Offers' as a FREE member, use the FREE advertising you get to promote your UDB link and make sure you return after joining each one to add your referral links so your TEAM when they follow your lead can join under you. Also, you should join the 'Other Resources' as a FREE member now too, but be prepared to upgrade at these as they appear in the recommended order of joining set out below. MAKE SURE YOU RETURN TO UDB AND ADD YOUR REFERRAL ID/USERNAME FOR EVERY PROGRAM, AD SITE OR RESOURCE YOU JOIN OR ARE A MEMBER OF. 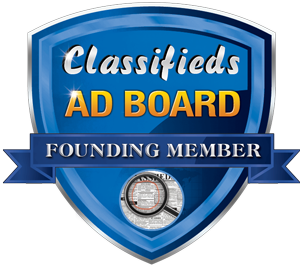 CashInOnBanners (CIOB) costs $10 and gives you lifetime banner ads that are rotated along with your up-line's banners on your own referral page plus randomly shown on ALL members pages. To start with you get 6 lifetime banner ads and as you build a TEAM there, you get more (up to 20). It offers 100% direct commission payments and has a 2-up payplan which means although you pass 2 up to YOUR sponsor, every member you refer, or that gets passed up to you, will have to pass 2 up to YOU too. This is a GREAT starter program that could earn you enough to cover at least some of the other programs here at UltimateDownlineBuilder. This is a 'One-Time Payment Core Program' within The7DaySuccessPlan so make sure you add your ID within it's builder section too. RealMarketingForRealPeople (RM4RP) one of our 'Other Resources' listed programs with the same payplan as CIOB. If/after you join any of them you should update the downline builders at/for each site listed. GlobalDomainsInternational (GDI) NOT one of UDBs Partner Programs but it does offer some really cool hosting and website building tools, and has a great pay plan for just $10 a month. RealMarketing4RealPeople (RM4RP) with it's identical price and payplan for it's basic membership as CIOB should definitely be your next addition to your UDB program portfolio. Make sure you watch the How to swing a $10 bill like a sledge hammer training video to see how you can use both RM4RP and CIOB as very powerful tools by using them as incentives for members to join/upgrade or do whatever you want them to do. CrazyAboutBanners (CAB) costs $20 lifetime and you get 2 lifetime banners and 2 lifetime text ads and pays you 50% commissions. This program works on a 2x15 platform that could potentially earn you $1 MILLION. In partnership with PIC and PQS you can be a part of TheMillionDollarGeneratorMatrix (MDGM) which is rolling out to the general public within the next week or so. PerpetualIncomeClub (PIC) is a FREE TeamBuild program for PerpetualQuikStart below, check it out and then join the TEAM. This is a MUST join site if you want to be kept up to date with The Million Dollar Generator Matrix and just about everything else going on around here. Clinton Clark holds regular presentations and keeps ALL his members informed as to what's going on, where and gives us valuable insights as to how we can achieve success ('in our bunny slippers'). PerpetualQuikStart (PQS) costs just $15 a year (okay so this is NOT a one-time payment but pays you $39 every time you fill a simple 2x2 matrix so as long as you bring in 2 that bring in 2 or get these through the TEAM BUILD it more or less pays for itself many times over). You get unlimited text and banner ads where you can promote your entire portfolio of programs to earn you even more referrals and commissions. This ingenious program basically pays you over and over to build your teams and make money. I'm guessing if you aren't making enough money in 12 months time to cover these annual fees, you've either already given up or aren't taken this business seriously enough to start with and so wont have to pay them. This has a 3-up pay plan but this time it's your 3rd, 5th and 7th referrals you pass up. You keep the first 2 along with their 100% (80% if you use Admin Collect) commissions doubling your investment before passing anything up, and then they will start passing their #3s, #5s and #7s up to you as will they and so on. Every member in your downline pay you 3 times as do their 3 and so on to infinity. If you have joined ALL these I guess you really are committed and probably have set up plenty of ads for UDB already using the masses of advertising you now have and hopefully are seeing results. It's now time to get serious. TrafficWave (TW) is a powerful auto-responder that costs just $17.95p/m but comes with a full 30 day trial (and if you're feeling generous and want to help your TEAM) you can join the MatrixBusters program inside where if your referrals do the same you can extend their FREE membership for a further 30 days using your first month fast track commission. Unfortunately if your sponsor has NOT signed up for this you may need to pay for your own second month. It's always worth contacting your sponsor as they would probably agree to join on request rather than have you drop out of their matrix. Either way, it offers loads of value for your money, is a necessity if using the programs listed above to their FULL potential (7Day, PIC and PQS amongst others have pre-written auto-responder letters for our use using TrafficWave) TW also includes one of the best cloaker/tracker services I've seen which you could easily pay $10 or more a month for on it's own elsewhere. This has a MASSIVE 3x10 matrix pay plan that could potentially earn you in excess of $88K every month. All everyone needs to do is get 3 to cover their subscription, and then help their referrals duplicate this down 10 levels and you can retire on this alone. To be honest, most of us would be happy with just 5% of this, I know I would (5% = around $4.4Kp/m). At the same time you might want to consider upgrading your account at The7DaySuccessPlan and work your way through the plan there too. It's dead easy and only takes you about an hour a day to complete, then just continue through each daily task there as and when you can to maximise your promotional success etc. AdCo-opPays (ACP) costs just $10p/m (plus a $1 fee) and it basically promotes your main business. (On this occasion, to help ensure you get the 2,500 hits a month required to qualify for the PIC TeamBuild each month, you should add your PIC Team Rotator Link here), and at the same time also promotes your ACP Link 2,500 times too. A definite MUST have especially if you are working the Million Dollar Generator partnership between PIC/PQS and CAB. All-In-One-Profits should be next on your list again costing just $10p/m (plus $1.50 fees) . WidgetQuik (WQ) now is probably a good time to upgrade your account at WidgetQuik. Hopefully by now you will have had chance to look around and see how much more you will be getting as an upgraded member, and maybe even getting a commission or 2 if your referrals have already upgraded. Then your monthly commission would go from $1 to $4 per month and just 2 upgraded referrals covers your subscription costs. Your first month will cost you just $3.95 and gives you 3000 SurfWidget credits and of you contact Mark Rosen and mention you're a member of UltimateDownlineBuilder he will manually add a further 15,000 of these valuable credits to your account. After your first month you will receive 7000 SurfWidget credits per month for just $7.95. SurfWidget works like a traffic, banner and text ad exchange in one. Earn Dollars Not Pennies (EDNP) for just $4.40 a month you get an obscene amount of banner ad credits and can access a lot of tools and resources here that you need to both make and save you money. 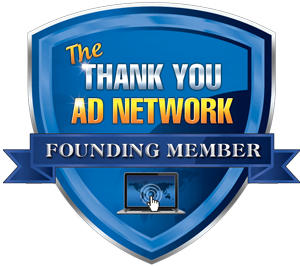 Join the sister site Ads@EDNP through the #1Downline Builder there, and you can earn towards your subscription cost through being active there and claim your FREE BMW upgrade for being a member of EDNP. Be sure to add your IDs for UDB and CAB and any of the other programs you are a member of, to the #1Downline Builder while you're in there and check out the offers in the #2DownlineBuilder too. TheOnlineAdNetwork costs $19.95p/m, but comes with a 15 day 'try before you buy' offer. This was a Core Resource over at 7Day. which is why I have it here at UDB but it's ONLY link now really is that it is owned by the same experienced admin as TW, Brian Rooney. You get totally FREE advertising every month, but it can be time consuming and fiddly to keep setting your advertising up month after month, but you do get used to it. It has an almost identical payplan as TW, but costs a little more so offers some VERY worthwhile bonus' as you build down 10 levels, again only needing 3 referrals to break even. See TW for more detail about it's payplan and potential. They are pretty similar. DSDomination/OptionsDomination (DSD and once launched OD) I've ONLY added this program last because it/they is/are the most expensive to upgrade in and you might need to have some commissions available to get you started, BUT both DSD and OD are both money making, earn WITHOUT referrals, stand alone programs where you get ALL the training and tools you need to dominate the Drop Shipping and/or Binary/Stock Market industries. Also once you have 2-3 referrals within UDB following your lead into each of the amazing programs listed above your subscription costs here will be covered and you should by now be earning enough to invest in the OD Binary Options and hopefully start earning a very comfortable income. This is the ultimate retirement program. You will by now have built your TEAM at UDB and within ALL it's Partner Programs and Resource Sites, set a great example and hopefully helped your TEAM duplicate your efforts and will pass that on down too, so now you can start to relax as your income grows month after month giving you the time you need to concentrate on this training and some excess income that you can safely use to build your future putting it into practice. You can now fire your boss and earn every day in your 'Bunny Slippers' as Clinton Clark would say. I love you Clint and thank you for everything you have done to help me get this far. You know I appreciate it all so, so much. I really hope you found this helpful and look forward to reading your comments below. Please do feedback though, Good or Bad, I welcome compliments and criticism alike, just tell me what you think. P.S. Please look through my other pages and add your comments there too. ALL updates and emails I send out I will post to the homepage here aptly named Admin Mails and Updates, feel free to have a read through them so you know what's gone on here before and remember to subscribe so you NEVER miss any future updates.